Wisdom teeth are the extra molars that develop beneath your gums and jaw bone during late adolescence and early adulthood. 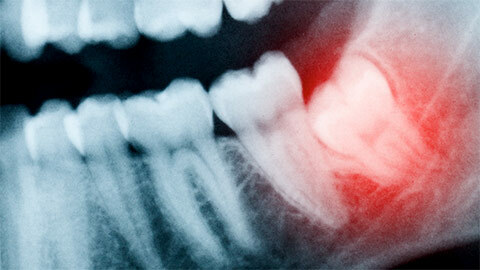 When wisdom teeth grow improperly, they will probably cause problems later in life. In order to reduce the risk of dental problems caused by misaligned wisdom teeth, a dentist or oral surgeon must surgically remove the wisdom teeth. Emerging wisdom teeth can damage neighboring teeth, the jawbone and nerves when they are improperly positioned beneath your jawbone. In certain cases, some openings may form around the erupting tooth and expose the affected area to bacterial invasions. 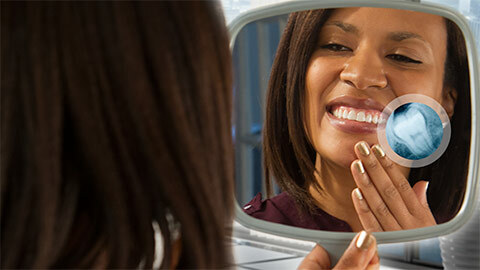 Symptoms of such an infection include tooth decay, infections and other periodontal issues. Cleaning your wisdom teeth may also pose a problem, because they are often placed in unreachable locations and positions. A qualified dental professional can surgically extract the tooth in a procedure that usually lasts between twenty to forty minutes. Prior to the wisdom tooth extraction, we administer a local anesthetic to your mouth. The anesthetic effectively numbs the area. We may also administer oral sedation or sedatives, such as nitrous oxide in order to keep you comfortable. We carefully extract the tooth from beneath the gums, which we stitch back into place after the extraction. The healing process that follows a wisdom tooth extraction lasts for a few days to a week, during this time you must rest and practice consistent oral care. The stitches holding the gums together also disappears during this time. At Adult & Pediatric Dental Care, you can rest assured that we will be with you every step of the way, including before, during and after the procedure. If you need more information about Wisdom Teeth Extraction in Coldwater, contact us today.